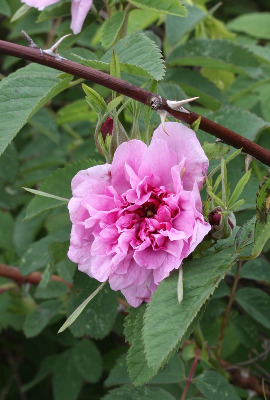 A widely cultivated plant, interpreted as either a native of the Caucasus region or a hybrid involving as many as four species. Rarely spreading to roadsides. First collected in 1903 in St. Clair Co.
MICHIGAN FLORA ONLINE. A. A. Reznicek, E. G. Voss, & B. S. Walters. February 2011. University of Michigan. Web. 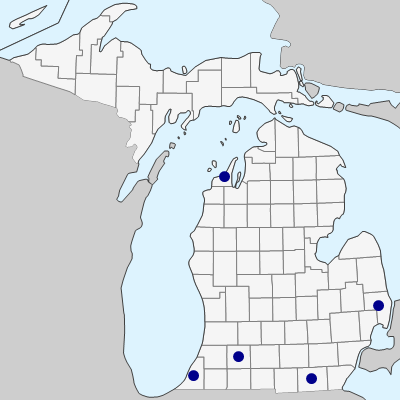 April 26, 2019. https://michiganflora.net/species.aspx?id=2540.